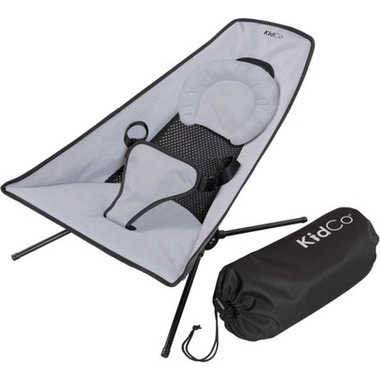 The KidCo BouncePod Travel Bouncer is the first lightweight portable travel bouncer that sets up in an instant to provide comfort and security for your baby. 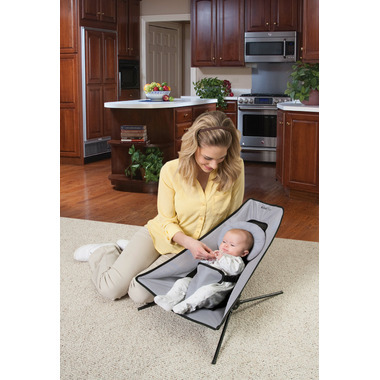 The cushioned headrest is adjustable and the machine washable padded seat cover has a net backing that provides added comfort for your baby. Weighing just over 3 lbs. the BouncePod is a must-have. Fine for its use. Traveling. My my baby is 7 weeks and his feet hang out the bottom. It's alright.